Thursday, August 2, 2018 — Rich Thomas, founder and creative director of Onyx Path Publishing, in conjunction with Caliber Comics announced a new partnership today. Onyx Path will develop a tabletop RPG called Legendlore RPG based on Caliber Comics’ long-running fantasy comic book series The Realm and Legendlore. Drawn from The Realm and Legendlore comics, the Legendlore RPG will whisk characters from our modern world to a magical Dungeons and Dragons-meets-Game of Thrones land filled with dragons, orcs, unicorns and hobgoblins. 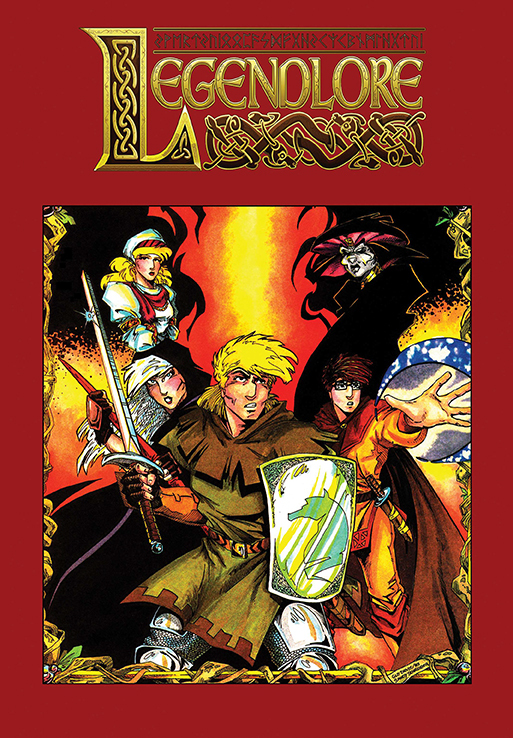 With over 60 comics published covering twelve graphic novel volumes, The Realm and Legendlore comics became one of Caliber Comics most critically acclaimed and popular series. In the RPG, players can choose to play as themselves or create a new character using the Storypath system. Some of the creative talents featured in the comics were Ralph Griffith (Deadworld/OZ), Stuart Kerr (Deadworld/OZ), Guy Davis (Hellboy/B.P.R.D./Grendel/Aliens), Brian Michael Bendis (Ultimate Spiderman/Guardians of the Galaxy/Avengers/Daredevil), Jim O’Barr (The Crow), David Boller (Spiderman/X-Men/Ghost Rider), Tim Bradstreet (Punisher/Serenity), and more! Both digital and print editions of the Legendlore RPG are scheduled for a 2019 release. About Onyx Path Publishing: Founded in 2012, Onyx Path Publishing is a Pennsylvania-based company dedicated to the development of exemplary, immersive worlds. Working with a group of amazingly talented creators, we explore print, electronic and other forms of media distribution to produce games and fiction based on the Scarred Lands, Pugmire, Scion, Trinity, Exalted, World of Darkness and Chronicles of Darkness properties. With over 20 years of publishing experience from which to draw, we are industry professionals who love the art of the game and plan to continue making meaningful, innovative contributions in the years to come. About Caliber Comics: Caliber Comics has released over 1500 individual comic issues and graphic novels since its inception. With its large library of titles, Caliber Comics became one of the top independent comic publishers in the 1990s and helped launch the comic careers of some of the top artists and writers in the industry today. The company was newly re-established in 2013, and continues to be a hub for comic fans young and old alike with its ongoing graphic novel releases. Properties include Deadworld, Legendlore, OZ, The Searchers, Vietnam Journal, Raven Chronicles, Shepherd, and many more!